Are you in for adventure? Then Sagada must be the right place for you! 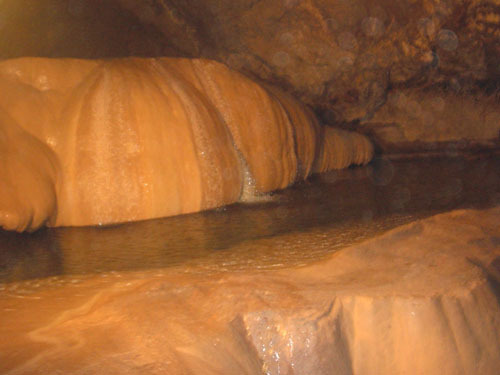 Sagada is one of the municipalities of Mountain Province. It is adjacent to Bontoc, another interesting place to visit in Mountain Province. You can’t go to Sagada without dropping by at Bontoc. Sagada is located 275 Km north of Manila and 140 Km from Baguio. 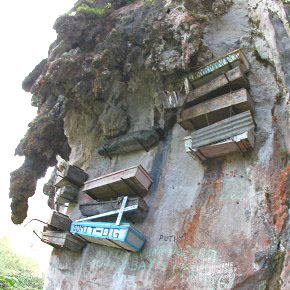 Sagada is popular for its hanging coffins, an old tradition that is no longer practice nowadays. 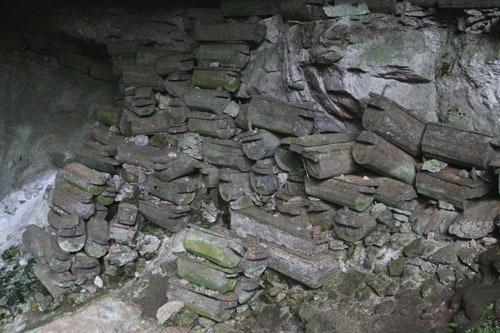 Traditionally not anyone has the privillege to be buried this way, one has to be married, have children among others. You can see near the entrance going to the famous Sumaging cave. You can either see them from a far or walk closer and take some pictures. 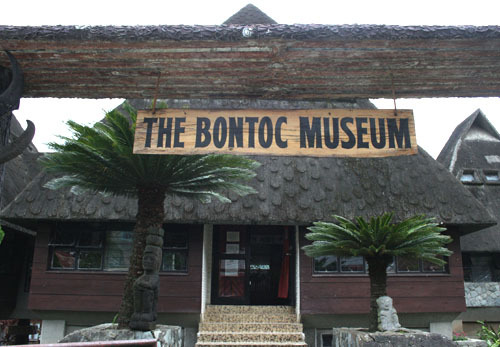 Do not miss dropping by at Bontoc Museum, they have a magnificent collection of Bontoc’s traditional houses, clothes and utensils. The mini-community displayed on the exterior of the Museum is also very impressive. You can go to Sagada by land from Baguio. From Manila you can take air-conditioned buses plying to Baguio daily. Once in Baguio, you can take regular buses going to Bontoc- Sagada. Another option is to take a domestic flight from Manila to Baguio and arrange for a private vans going to Sagada.